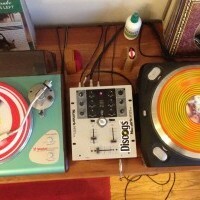 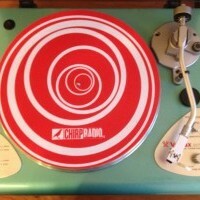 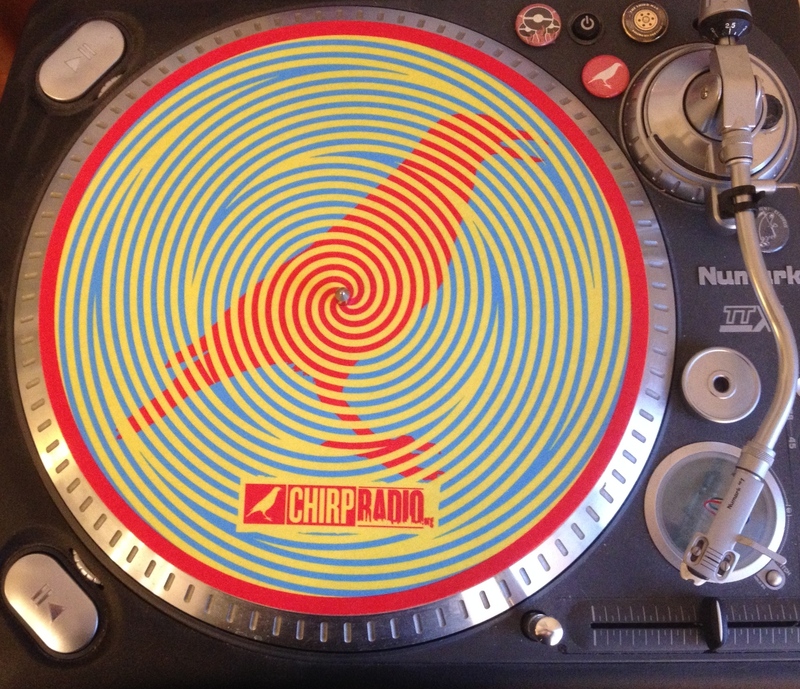 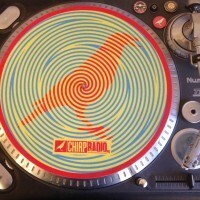 Ideal for the owner of 2 turntables, DJ-style, get BOTH of the CHIRP Radio slipmats in this package deal! 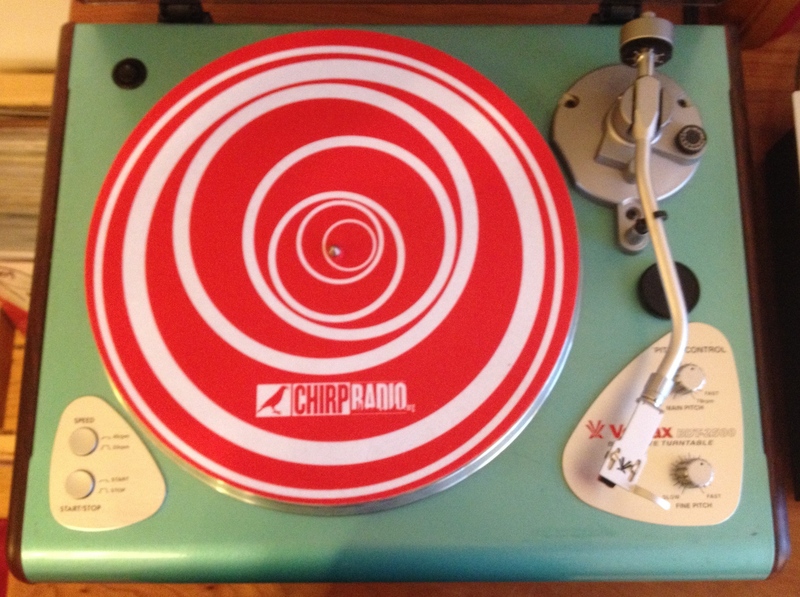 These CHIRP Radio turntable slipmats protect your platter + vinyl; one in classic red and white, the other in red, yellow, and blue. 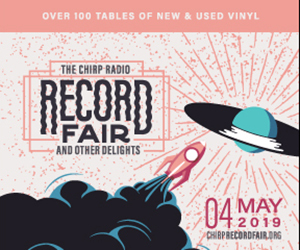 Whether it's the spinning circles-in-a-circle or the swirling spiral-within-a-spiral, both will augment your vinyl listening experience in a special way. 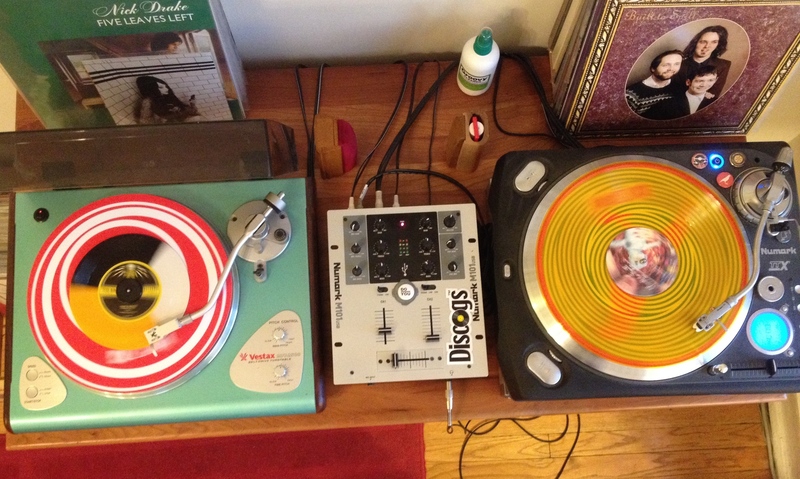 Fun with friends or all by yourself, not to mention super cool, be the envy of your record-collecting pals with these!